Back in the Saddle Again – a Few Headbands! 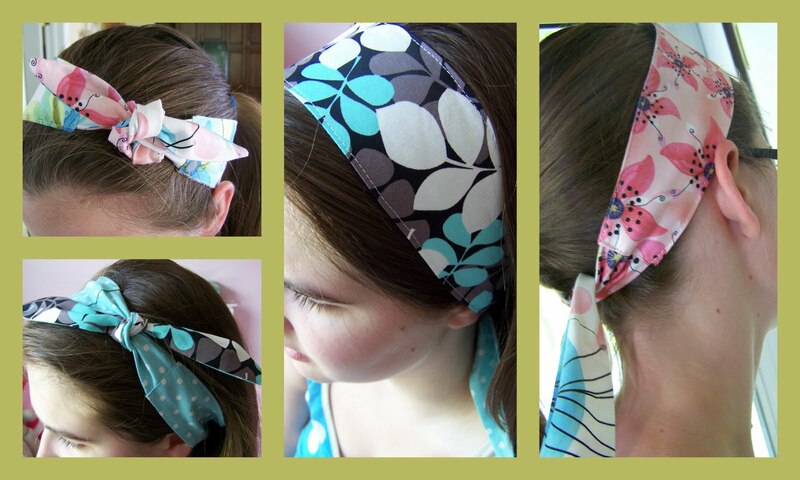 I whipped up these fun little headbands and share a few sewing tips over at Contemporary Cloth’s blog if you’d like to check it out. What a great way to use leftovers. Sondra has such a keen eye for color, too. I love the fun fabrics she selected! I finally feel like I can catch my breath after the past two weeks. I’ve had a high school graduation, graduation party, 8th grade graduation, two band concerts, one big concert downtown, a Confirmation, a couple rock concerts, award ceremonies, end-of-year picnics and my 25th college reunion. All the kids are now out on summer break and I’m looking forward to some creative time and projects to share! I hope your summer is off to a roaring start. Glad you’ve had a chance to do a little sewing! Those headbands are very cute! Wow, you have been busy! That was a long list of events to have happened in just a few weeks. Hope you get to relax a little over the summer. I like the headbands very much, especially the brown and blue one in the middle. Hmmm, now that my hair has finally grown out, I might actually be able to wear one of those.